Quirky, funky, and homely, enjoy.. from White Gables has something for everyone.It is a wonderful haven of home cooked foods, breads & cakes for you to eat at home. Seasonal produce such as home cooked ham, chicken salad, shepherd’s pie to take the drudgery of home cooking. 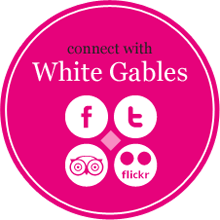 enjoy.. from White Gables are always on the lookout for new artisan producers and supply a large range of hand crafted products. 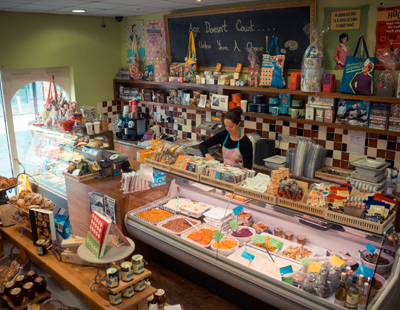 Chutneys from Ginger Girl, Paddy’s O’Granola, vanilla fudge, bottles of wine are available in abundance. Whether you need an apron for Granny, wine for Dad or simply a box of sweets for the teacher enjoy.. from White Gables has something for everyone! Enjoy@Home provides superb Home Catering meals for your next party. Our Celebrations Cakes are excellent value, please have a look at our Cake List here….